Running Shoes? Check… Water bottle? Check… Energy drink? 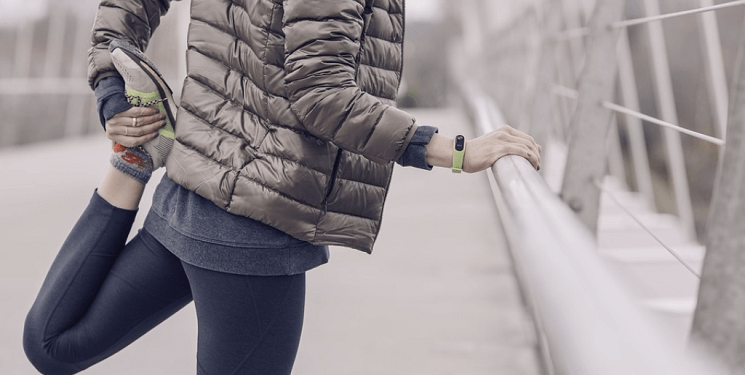 Check… Optical heart rate sensor, fitbit belt? Check, Check, check. Elite-level athletes and professional sports teams are looking for opportunities to improve athletic performance and gain competitive advantage on the field. Advancement in the new technologies has provided the new avenues to improve player health and safety. Gone are the days when we’d make unqualified predictions on how players are performing. According to the Juniper Research, the global retail revenue trebled from 2016 and expected to touch $53.2 billion by 2019. Today, through technology we are able to make calculated decisions on our favorite players with stats being relayed to us throughout broadcasting. Fitbits, Apple Watches, and other wearable have become an ever-present sight at many sports events. And as per the research of Cisco, IoE will generate $14.4 trillion in value over the next decade. As IoE will transform digital landscape, everything will depend on how wearable technology and mobile app development combine to provide contextual information and become more intelligent. Wearable device being presently in its blossoming phase, will take time for the people to adopt. But when Apple watch was launched, the technology got more modernized and now it is just no longer restricted to health device. 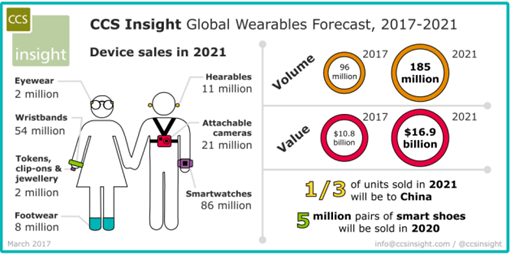 The wearable technology is undergoing fast growth, crafting more connected devices, providing number of features that aids to manage lives, health and safety. Let’s dive in deeper. VR is recognized for its proficiency to move the user into the digital land. Wearing specs like display and gloves, users can communicate with a virtual world using natural physical motions and gestures. This tandem effect is what makes sports such a natural fit. Sports always thrive on data and virtual reality in sports enables the player’s performance to be analyzed and optimized to a considerable degree. Since the end product is poised of computer graphics and not live video, the result is something like user playing live video game. The act on the other hand, is totally synced to the real-life movements of the players and the aptitude to closely scrutinize moments in the game, rewinding and replaying them as needed is all fun and happiness. Wearable devices virtually touches every piece of athlete’s equipments to ensure safety which includes sensors in the helmets of players to detect injuries. Smart compression shirts effectively measure arm movement and technique to determine pitcher’s effectiveness. With the help of sensor-based technology, wearables enable the players to reach new avenues by providing them predictive injury analytics from life-threatening injuries. With smart-fabric evolution, there will be soon technological innovation in fashion onto the athlete’s body. Tracking physical activity is important for athlete because it helps to track activity, monitor output and improve performance. Wearable devices provides a perfect platform for athlete in collecting data over multiple modules and ensuring that all aspects of the athlete are taken into consideration. It helps in developing athletic-centric approach which also leads to self-awareness, encouragement in creative thinking and emotional intelligence as well as developing ownership and responsibility within the athlete for their own success. Whether you are carrying smart-phones in your pocket or smart-watch on your wrist, wearable devices are always boon for athletes. When it comes to sports, real-time coaching wearable are replacing the personal trainer. Real-time feedback can lead to skill acquisition and when appropriately applied leads to skill retention during competition and therefore positive outcome. It seems intuitive that if the feedback could be provided on every rep in real time athletes would push themselves harder to beat themselves and team mates. There are number of possibilities available to the coach for providing feedback to the athlete in real time giving reliable data on things such as power, velocity, bar displacement and ground contact time. Wearable technology has created new playing field in sports industry to develop groundbreaking new products. Today, all over the globe, sports wearable devices are becoming vital when it comes to performance measurement and improvement, tracking of distance, speed and route for amateur runners to complex measurements etc. Wearables can radically redesign the way sports industry functions. But the solution also involves in mobile app that is synced with wearable device to deliver value to the end-user.